Q2 2018 –has set new records for global mobile app downloads and consumer spend. 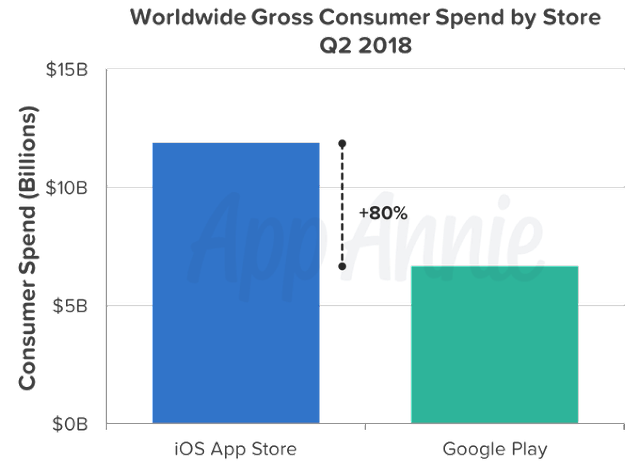 Topping the record-setting Q1 2018 levels, there were over 28.4 billion mobile app downloads globally across iOS and Google Play in Q2,2018 up 15% year over year according to the report by AppAnnie. This number is particularly staggering all the more because the numbers reflect new downloads and does not include re installs or app updates. Furthermore consumers spends on mobile apps exceeded $18.5 billion across iOS and Google Play combined – a growth rate of over 20% year over year. Most of the downloads came from Google play as it significantly widened its lead over iOS , exceeded 20 billion in Q2 2018, up 20% year over year and widened the gap between itself and iOS by 25 percentage points to 160%. However global consumer spend on iOS App store grew 20% year over year. The mobile app download on Google Play was led by India which was the largest driver of mobile app downloads in terms of growth and market share.On the iOS, ,United States, Russia and Saudi Arabia saw the largest growth in mobile app downloads year over year.Most of the the mobile app growth was led by FIFA World cup 2018, as , Video Players & Sports apps drove growth in Google Play downloads quarter over quarter in Q2 2018. In the UK, over 6 million hours were spent in the top 10 Sports apps by time spent on Android phone during the first 3 weeks of the World Cup, up 65% from the 3 weeks directly prior. Sports streaming service fuboTV saw the largest impact, growing at a whopping 713 percent and adding 309K new users in the U.S., while Hulu saw the smallest impact at 18 percent growth. for example. Sports apps on iOS were the third largest contributors to absolute growth in consumer spend and in market share in Q2, while Entertainment and Productivity apps were numbers one and two, respectively.In-app subscriptions for both Sports and Entertainment apps drove the consumer spending increases. On Google Play, Games, Social, and Music & Audio apps saw the largest download growth, quarter-over-quarter. According to a Google blog post this morning, “The Google Assistant is now available on more than 400 million devices.” When Google says “devices” it’s including Android smartphones, tablets, TVs, headphones and Google Home smart speakers. However its not clear how many Google Home, Mini and Max speakers were sold in 2017. In terms of numbers Four hundred million is huge but that includes mostly Android smartphones. Based on a review of data from NPR, Strategy Analytics and Consumer Intelligence Research Partners, it appears that Google Home has roughly a 25 percent share of the US smart speaker market.Specifically, Strategy Analytics estimated that Google’s share of Q4 smart speaker sales was 24%.Walker Sands (“Future of Retail 2017“), in a survey of 1,622 US adults, found that about 23% respondents owned a smart speaker. If the results can be generalised to the broader population, then something like 56 million assistant-powered speakers are in US homes today. The survey was conducted in late Q3 or early Q4, before Christmas. Meanwhile Rival Amazon is also making announcements at CES with a range of device makers. Alexa is being integrated into a set of expensive augmented reality glasses ($1,000) from Vuzix. More significantly, it will be added to PCs and laptops from Acer, Asus and HP. This represents a significant potential challenge to Cortana. Meanwhile data suggests that Amazon has now taken over from Apple as the virtual assistant leader, if not in absolute device numbers then in terms of visibility and momentum. According to a range of third party estimates, Amazon has roughly three-fourths of the smart speaker market to Google’s 25 percent.Suggesting that it’s gaining on Alexa, last week Google said there was robust demand for Google Home. The company asserted it “sold more than one Google Home every second since Google Home Mini started shipping in October.” That means, since approximately October 19, Google has sold nearly 7 million devices. That’s not all of Google Home sales but suggests the totality of devices sold is below 10 million. Last year, Alexa was the clear winner of CES, with companies like Ford, Huawei, and LG agreeing to integrate their products with Amazon's virtual assistant. Since then, Alexa has only gotten bigger - Amazon says that it sold " tens of millions " of Alexa-enabled products, led by its own Amazon Echo Dot, over the holiday season. Among the list of devices the Google Assistant is being integrated into are “smart displays”.They will initially come from JBL, Lenovo, LG and Sony. Google was rumoured to be working on its own answer to the Amazon Echo Show, which will have a screen.It’s not clear if a Google Home branded smart screen device is still in the works or if the company will rely on these and other third parties instead. The screen creates a range of obvious new user experience possibilities as well as new marketing and commerce capabilities for brands, publishers and marketers. That same potential with the Echo Show has to date been mostly unrealised. The new smart screen Google Assistant devices will make video calls, access Google Photos and show YouTube videos.Amazon’s Echo Show and Fire TV have been blocked from showing YouTube for allegedly violating Google’s terms of service and not offering Google products reciprocity on Amazon.com. The Google Assistant is also coming to more smart TVs this year In addition to existing offerings from Sony and NVIDIA, introduced last year, TV makers integrating the Assistant include including TCL, Element, Hisense, Westinghouse and LG. While Alexa for screens works exclusively with Amazon's own echo hardware,Google Assistant is compatible with devices made by other companies including new models from Sony ,LG,Lenevo, and JBL, a brand of Samsung's Harman division. As of now Amazon seems ahead of the competition as got in on the smart speaker market early, and has moved quickly to ensure its stays out in front. Now, by most measures, the Amazon Echo is dominating the smart speaker market . The company has built on the lead with an avalanche of new hardware released in the last year: The tablet-like Echo Show, which has a screen; the Echo Look fashion camera; the Echo Plus home hub; the Echo Spot alarm clock; the redesigned Echo. Plus, partners like Sonos and Ecobee have released their own products with Alexa built in, so you can talk to (and shop from) Amazon from an ever-increasing number of places. And with 30,000 skills, or apps , now available for Alexa, customers can do a lot more with those devices - giving them fewer reasons to switch. This is all a part of Amazon's ongoing playbook to get Alexa everywhere. Now, with its market share established and its position looking to be firmly entrenched, Amazon is entering a new phase in its master plan. Consumers are increasingly turning to voice for search.  While Amazon Alexa or Cortana-enabled products uses results from Bing.Google Assistant or Apple Siri, is powered by Google.Brands and publishers are have realised that they need to be on top of SERPs across voice search as well Following these best practices guidelines published by Google recently will be increasingly important for your content to surface in voice searches. Google Research blog recently has published the search quality raters guidelines, contractors guidelines to evaluate Google’s search results, specifically for the Google Assistant and voice search results. It is similar to the web search quality guidelines, but it changes in that there is no screen to look at when evaluating such results; instead you are evaluating the voice responses from the Google Assistant. It is important to note that comScore predicts that 50% of all searches will be by voice in 2020. Gartner forecasts 30% of web browsing will be done by voice the same year. Voice adoption is growing quickly and discovery through Voice SEO will become critical. According to searchengineland “The Google Assistant needs its own guidelines in place, as many of its interactions utilize what is called ‘eyes-free technology,’ when there is no screen as part of the experience.” Google has designed machine learning and algorithms to try to make the voice responses and “answers grammatical, fluent and concise.” Google said that they ask raters to make sure that answers are satisfactory across several dimensions.Here are some of the voice search and voice assisted search guidelines issues by google. Length of the query: when a displayed answer is too long, users can quickly scan it visually and locate the relevant information. For voice answers, that is not possible. It is much more important to ensure that we provide a helpful amount of information, hopefully not too much or too little. Some of our previous work is currently in use for identifying the most relevant fragments of answers. Formulation: it is much easier to understand a badly formulated written answer than an ungrammatical spoken answer, so more care has to be placed in ensuring grammatical correctness. For every 10 things invented at silicon valley last year, there were atleast 8 things that count among the dumbest and screwed up this year.From a office tent called a pause pod to a the app-enabled vending machine Bodega.Silicon valley in its efforts to reinvent how people live and interact succeeded in altering the human mind by sheer idiocy and brain freeze. Here are the top 5 silliest silicon valley inventions that did not manage to make hay while the silicon valley sun was at its fiercest. What was “invented”: A wifi-enabled juicer with a powerful press designed to squeeze juice from a proprietary bag of fruit and vegetables. What already existed: Your hands, Capri Sun, juicers. Juicero was the silliest and most infamous, $400 juicer that sold its customers prepackaged bags of fruit and vegetables that, it said, could be pressed into delicious juice using only its machine. But Bloomberg figured out that the machine was unnecessary. You could just squeeze the bag with your bare hands and get about the same amount of juice from the vending machine.Five months and $118.5 million of investment later, Juicero was dead. The CEO of Juicero was last seen emerging from Burning Man, drinking an expensive snake oil from a company that also calls it “raw water"
What iwas “invented”: A replacement for the corner store. What already existed: Vending machines, minibars. 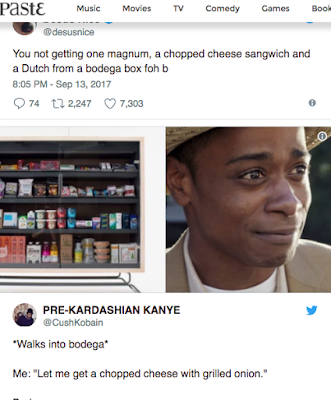 Bodega set a record time for a startup to experience public backlash. 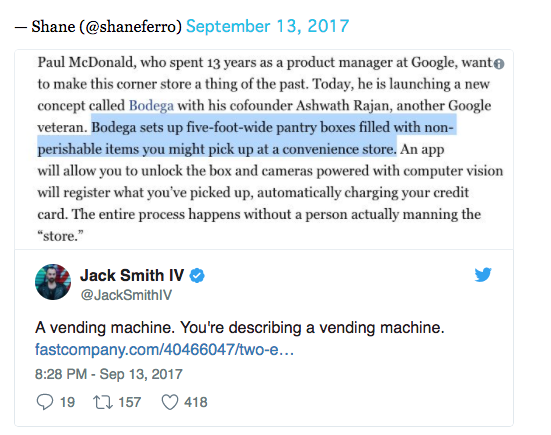 Bodega was an app-enabled vending machine with bougie products that aims to put your beloved, locally owned corner store out of business. 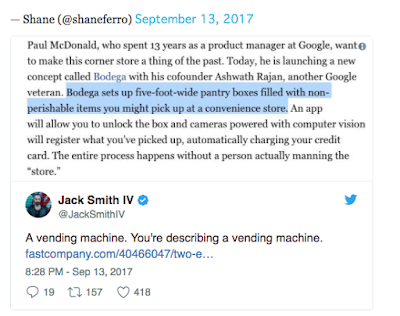 “The vision here is much bigger than the box itself,” Bodega’s co-founder Paul McDonald told Fast Company. That interview ran on September 13th. On September 14th, Bodega apologised to “to anyone we’ve offended.” The apology focused on the name, which the company assured that it had market tested in “Latin American communities,” and 97 percent of respondents didn’t think it was offensive. What Bodega missed was that the entire concept was offensive. What it “invented”: Lyft, but for people who are cool with traveling on a set path in a shared vehicle for a lower rate. What already existed: A bus. Lyft Shuttle, launched as an experimental service in March of this year, was promoted as a cheaper, commuter-friendly alternative to hailing a Lyft. As the Verge noted, the entire thing more or less duplicated what a city bus already does: travels on a fixed route, picks up and drops off riders at predetermined spots and transports a larger group of people at one time.The only difference was that the Proceeds from the bus went back into the system that keeps the bus running, not into the coffers of a VC fund. Incredible work and Great job, Lyft. Long days at office,terrible sleeping habits with day long stress and caffeinated delirium.This is where Odd Company's Pause Pod came in and tried to make a difference, to increase your productivity at office.The Pause Pod was a kind of portable tent like pod a private pop up space where you could set up anywhere at your office, except inside that corner office where you boss sits the whole day.It was a tent which you can pitch up anywhere and disappear inside leaving your co workers bewildered and wondering what you are doing inside. What was the Invention : A shared office space. With an $18billion valuation ,WeWork is worth more than Elon Musk's SpaceX.But unlike Elon Musk's rocket start up,WeWork has no moonshot ideas.WeWork just rents real estate and brands properties.WeWork is like WeLive akin to living like roommates in a shared office space in a kind of communal offshoot.This is called “co-living” in the world of WeWork. In the real world, it’s called having roommates. If you elect to have a roommate rather “co-living” with someone, it tends to be cheaper, and you get to choose your own decor. From Space tourism to electric cars and the rise of virtual reality,technology is transforming our worlds faster than we can imagine. It is said "You cannot predict the rain , but you can build an ark". 2018 will see the dawn of newer technology which only existed in the realms of science fiction movies just 10 years ago. While 2017 has seen AI Bots,Machine Learning, 3D printing, AR and Blockchain starting to become more relevant and mainstream 2018 will be a year when many of these newer technologies like Cryptocurrency Blockchain, Electric Cars Virtual Reality will find more acceptance and become advanced.Here are some of the technology trends which will make a big impact in 2018. 1)Artificial Intelligence comes of age: There are three broad reasons for AI’s phenomenal growth in the last two-three years. First is the rapid advancement in machine- and deep-learning algorithms. Second is the availability of humongous amounts of data (hence known as Big Data) on which these algorithms can be trained. Third is the dramatic increase in computing power that includes more efficient computer processing units and graphic processing units. The results are clearly visible. In December, Alphabet-owned AI firm DeepMind announced that its AlphaZero algorithm took just 4 hours to learn all chess rules and defeat the world’s strongest open-source chess engine, Stockfish. AlphaZero, which was modelled on DeepMind’s AlphaGo Zero computer programme, vanquished a world-champion programme in each game of chess, shogi (Japanese chess) and the Chinese game, Go, within 24 hours. Since automation and AI are better than humans with routine tasks, it has understandably given rise to the fear that automation and AI will take away our jobs and become more intelligent than human beings. In his 2006 book, The Singularity Is Near: When Humans Transcend Biology, American author and futurist Ray Kurzweil forecast that AI would surpass humans. By 2099, he added, machines would have attained a legal status equal to that of humans. 2)AR and VR will become communal experiences: Right now VR(Virtual reality) is an isolating experience.You can put on a headset and immerse yourself into an make believe world in a universe where you and your own self inhabit.Going forward VR will allow a more immersive experience with your surroundings. VR and AR ( Augmented Reality) will allow communities to experience the world together.We will get to play work and explore the world in the form of alternate realities and our reality distortion field will be all about larger sharing VR experiences. 3)Big Data overload and privacy concerns Today every company in the world has begun to mine big data on consumer habits and shopping behaviours.In 2018, data collection is going to become an even higher priority. With consumers increasingly talking to smart speakers throughout their day, and relying on unlimited digital devices for most of their daily tasks, companies will soon have access to—and start using—practically amounts of personal data. This has many implications, including reduced privacy, more personalized ads, and possibly more positive outcomes, such as better predictive algorithms in healthcare. To add to the problem, a lot of data has a lifespan. At some point in time, these data becomes outdated and its no longer longer relevant.But often it is held onto anyway in the mistaken belief that some day it might come in useful. It is important to remember also that collecting and storing data costs money - data requires storage, electricity to power it and, if the information is sensitive (including customer records) attention to be spent on security and data compliance. Of course, the problem becomes even bigger when we take into account the predicted growth in the data companies will produce: A recent article on Forbes predict a 4,300 percent increase in annual data production by 2020. 3)Blockchain will increasingly become mainstream: One of the biggest technological trends in 2018 would be the rise and acceptance of blockchain.The rise of blockchain technology wont be just limited to cryptocurrency in 2018.Cryptocurrency will move into larger areas of governance.We have seen some amazing things in the cryptocurrency market in 2017 including the rise of the ICO where companies like Tezos raised almost 250 million, the "big 3" (Bitcoin, Litecoin, & Ethereum) have gained in the 1000%'s, and a massive explosion of interest in both the traditional financial markets as well as the consumer markets here in the in 2017. 4)Electric cars: Self driving cars are still in the labs.So forget about them and start to embrace electric cars.In 2018 we are likely to see new electric cars promising ranges of 200 miles or more.In 2018 the Tesla Model 3 and the second generation of Nissan are set for release.Long term investment on petrol cars will also start declining.